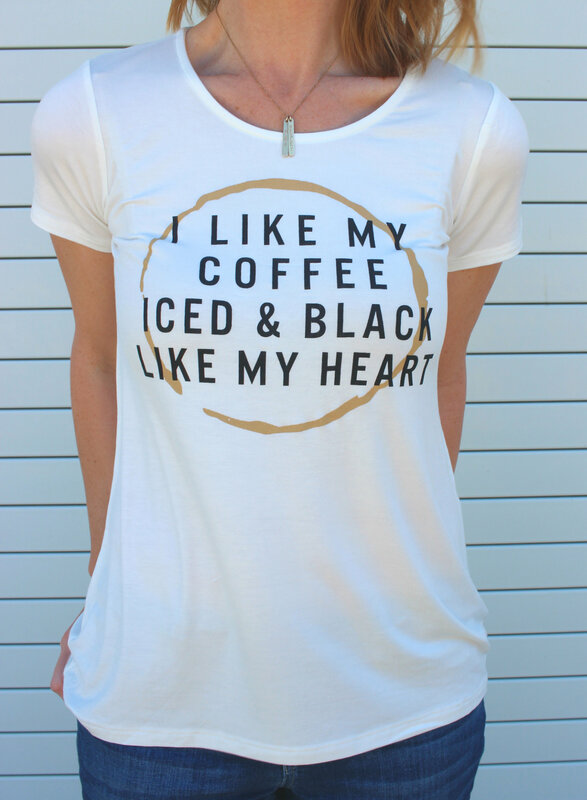 "I like my coffee iced and black like my heart." 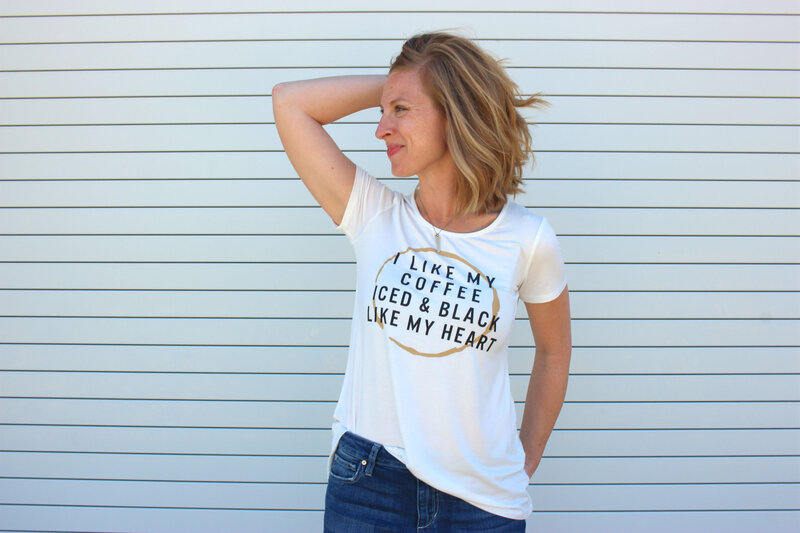 The perfect tee for your snarky friend...or maybe that's you. Ultra soft fabric. Cream colored. Free shipping!